Love vinyl? You’ll love this - vinyl week is coming back to hmv and you’ll be able to pick up some great LPs at discounted prices from Friday 9th June to Sunday 18th June, just in time for Father's Day. And if that wasn’t enough, there’ll also be some amazing hmv exclusive coloured vinyl and an exclusive sleeve! 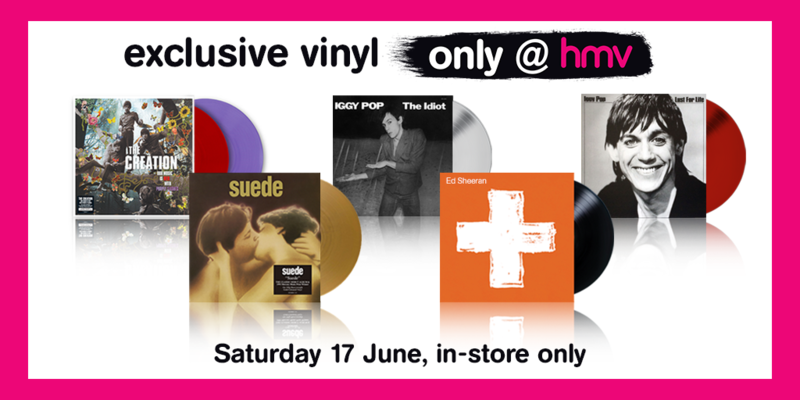 The hmv exclusive editions will be available on Saturday 17th June in-store only on a first-come first-served basis (while stocks last) and today we can reveal the first titles included in our vinyl line-up.